Born in Edinburgh April 1964, John was educated at Forrester High School and the University of Edinburgh. He graduated in 1986 as a Master of Arts with Honours in Politics. Prior to his election to the Westminster Parliament in 1997, John was employed as Strategic Planning Principal with Scottish Amicable and was a business and economic development consultant for five years. John Swinney has three children and is married to Elizabeth. In his leisure time, John enjoys hill walking, running and cycling. John joined the SNP in 1979 at the age of 15 and has held a number of posts within the Party at local and national level. He has been the National Secretary, Vice Convener for Publicity and Deputy Leader before leading the party from 2000-2004. John was elected as the Member of Parliament for North Tayside on 1st May 1997 in a seat that had once been the safest Conservative seat in Scotland. On 6th May 1999 John was elected as the Member of the Scottish Parliament for North Tayside. 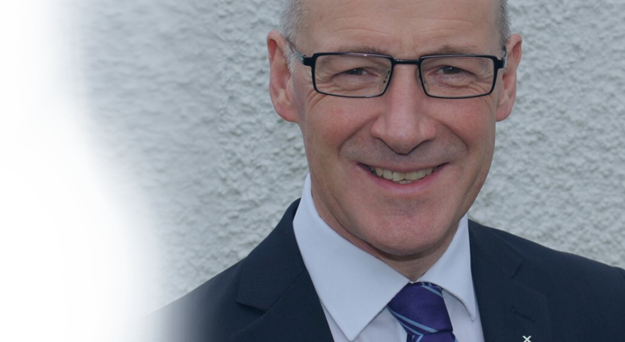 In 2011 the boundary changes meant the creation of new constituencies and John Swinney was elected as MSP for Perthshire North. He was re-elected in 2016. John is a member of the SNP Scottish Government and was the Cabinet Secretary for Finance and Sustainable Growth from 2007-2014. In November 2014 John Swinney was appointed as Deputy First Minister of Scotland and Cabinet Secretary for Finance, Constitution and the Economy. After the Scottish Parliament election on 5th May 2016 John Swinney was re-appointed as the Deputy First Minister and is now the Cabinet Secretary for Education and Skills.